The use of industrial modular buildings can save you a lot of time on construction. Our prefabricated modular buildings can ship in as fast as two days. We offer options to customize your unit, which results in somewhat longer shipping times. However, even with additional customizations you will shave weeks off construction time when compared with traditional buildings. We build most of the parts required for your modular buildings using molds at our factory. This allows for faster, cheaper production, which means you receive your building faster. You can reduce the cost of metal building prices by reducing the time construction takes. One of the most visible benefits of metal buildings by Panel Built is the low impact these units have on the environment. With traditional structures, you have to worry about constant foot and road traffic stirring up dust, construction workers leaving litter and unsettling tools interrupting the workplace. When you purchase a Panel Built metal building, you can reduce that impact. The majority of the work that needs finished on your new space is done offsite at our factory. This means less construction time on site, less distraction for your employees and less complaints from the neighbors. Whether you need modular office space or want metal buildings for sale, we can provide everything you need to get the job done. Whether you purchase a metal building, mezzanine or portable guard shack, our units are designed to last a long time. This is particularly important for units that protect product of staff from the elements. We use the best metal available to create a great product that is designed to withstand various natural elements. Our metal modular buildings are durable and easy to maintain. These units look attractive and are less likely to experience rot and other damage associated with wood and brick structures. When you need modular buildings for sale, choose the best product in the market. Our units are durable and allow maximum flexibility. Each portion of your unit is designed in small sections. You can attach, detach and rearrange the “pods” to get the exact configuration you want. The flexibility and durability of this product makes your metal building more affordable. Choose from different colors and layouts to create the perfect workspace or storage space for our company. Get the look and size you want for less money with Panel Built. When you purchase the best panel built buildings online, you can literally double your working space without paying more in rent. When you walk into an industrial space, there are a few things you may notice. The primary thing to pay attention to is all of the unused airspace. 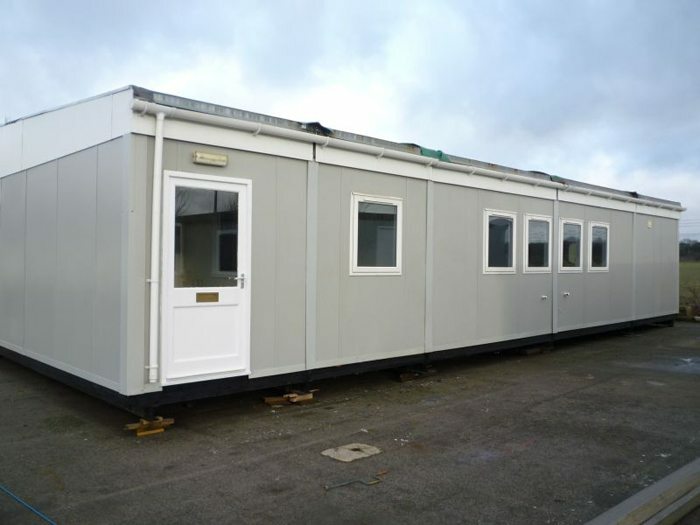 Our modular building panels can add additional working space by building up. Utilizing this otherwise wasted space is a unique way to create more usable square footage in your workplace. Keep in mind that you may be required to obtain permits if you plan to add a significant amount of workspace with our modular units. This type of structure is ideal for companies that do not have the money or space to add a completely new structure. The modular units are easy to install and provide a quick solution to storage and work capacity. As a bonus feature, many of our units are portable. This means that you can rearrange or even move your metal buildings to a new location with relative ease. Our units are designed to fit any workspaces need. Let us help you create room to grow with our portable metal structures. One major draw for traditional construction is the ability to create a unique space. You can have the same benefit with our prebuilt units. We offer several different tools to help you create the workspace you want and need. You can increase the comfort and usability of your new metal building by utilizing our special HVAC systems. We offer a range of heating and cooling systems from 9.300 BTU Cooling to about 18,000. Your product can be stored safely in the proper temperature with a durable metal system. As an additional benefit, we offer many different types of interior panels. This allows you to create a professional, relaxing workspace for you and your employees. You can choose from different styles of fiberglass, paneling, steel and hardboard. Are you interested in creating a private office or conference room? We can help soundproof your new space so you can conduct work in private. Each of our standard units is equipped with walls, doors, trim, tempered glass windows and a drop ceiling. You can customize each option to blend in with the rest of your workspace or to set apart the new area for special use. We can help you add new space to your crammed industrial building in days, instead of months. Get more room with a nearly painless installation. Our professional technicians are on call to assist you with any questions you have. Save time, save money and get more space for your company with a Panel Built metal building.